having to spend hours shopping for it? 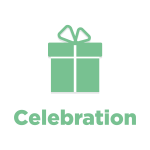 Offer celebration : The online gift selection experience! will take care of everything and manage the process! Support for recipients both before and after gifts are given.